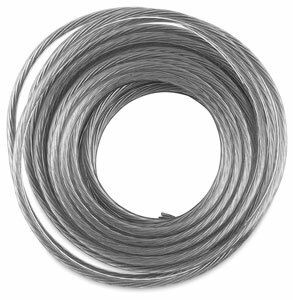 This museum-quality picture-hanging wire is the wire of choice among framers. Use it to hang or tie anything. Made of stainless durasteel wire, Framer's Pro is soft and flexible, with a plastic coating that keeps hands clean and protects them from injury.